Hi everyone, today's my Birthday. I've been so spoilt and having a great day so far. 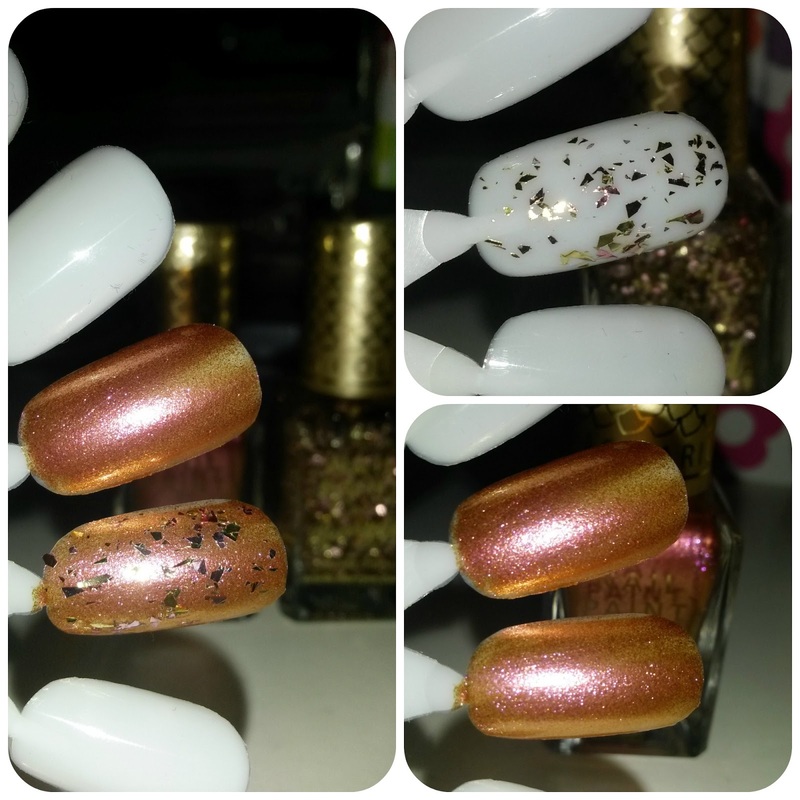 For my Birthday post, I thought I'd share with you two of the beautiful nail paints recently released by Barry M, as part of the Aquarium collection. 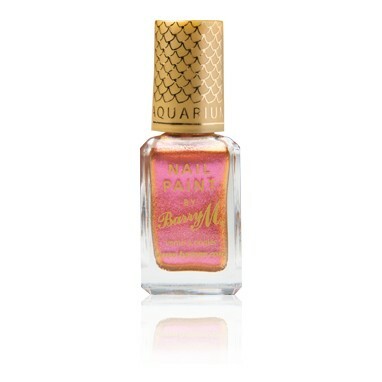 Image source: Barry M. See more swatches here. The Barry M, aquarium collection is my favourite release of the year from Barry M, so far, with some potential polishes being an almost dupe for the beetle juice collection from Models Own. 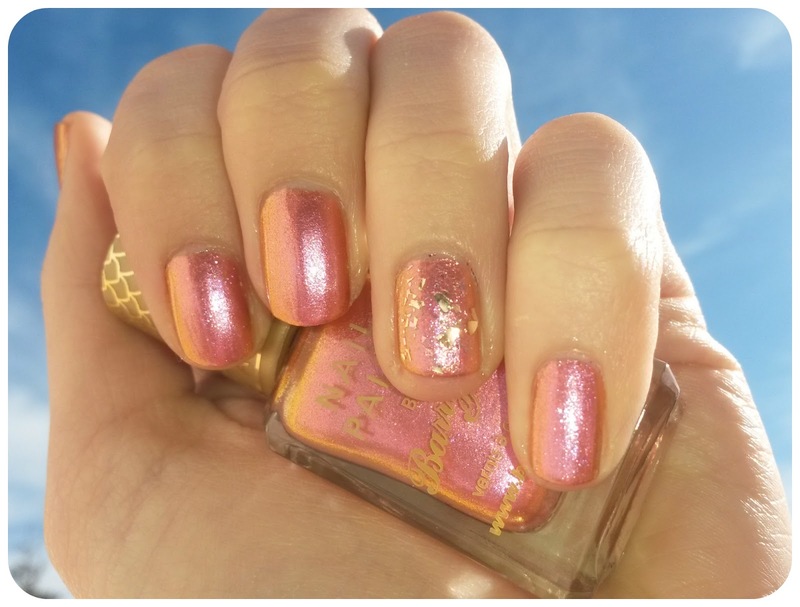 I picked up (L-R) Treasure Chest - A chunky glitter top coat with gold and pink flakes and my favourite Mediterranean - a duo chrome polish, almost like a sunset on your nails with pinks, golds and a slight tinge of orange all in one and dries with a beautiful shimmer. Almost like a sunset on your nails. The collection is made up of six nail polishes. 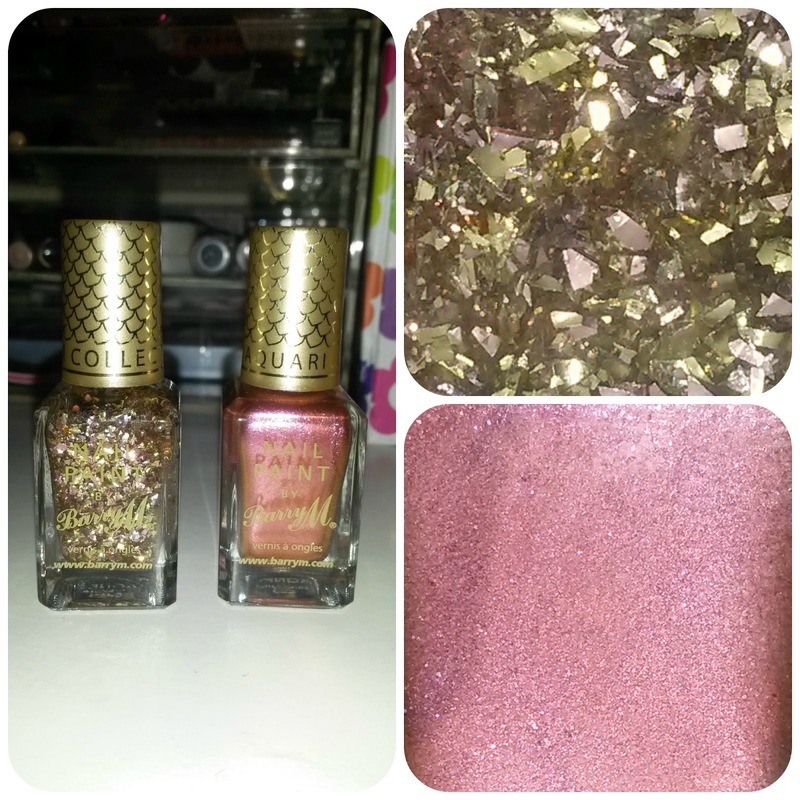 Four duo-chrome and two chunky glitters and retail at £3.99 each. Mediterranean is so hard to photograph, but, it looks stunning in sunlight and in person. Treasure chest and Mediterranean look perfect together. Med is quite sheer and the formula is a little thinner then other Barry M nail paints, even though you can get away with two, just, I'd definitely apply three for a better coverage.